On the Tube is not just another London underground tube app, it’s been designed and developed for the frequent traveller and commuter. 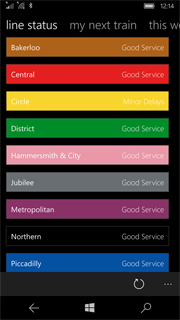 Providing you the quickest and easiest way to know when your journey maybe affected by delays or other problems and to find out when your next train is due. 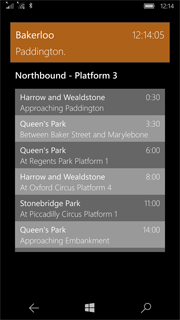 Keep in the know when problems occur or services are back to normal with live tile and push notifications providing you with up to date information about the lines and station you frequently travel without having to open the app. 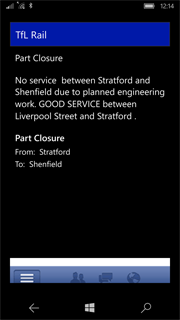 Need a personal assistant to help you? 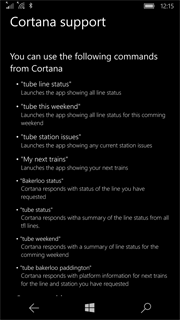 On the Tube has been integrated with Cortana so you don’t even need to open the app just ask her. 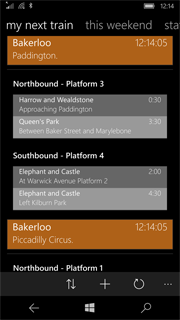 Download from the Windows store now.